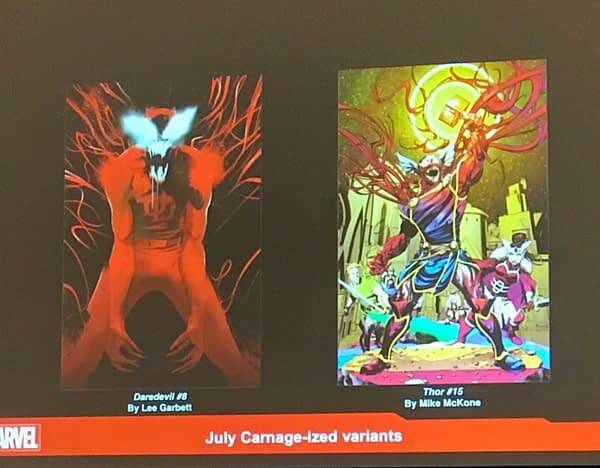 Absolute Carnage launching in August will see Carnage coming back to hunt and kill everyone who has every character who has ever worn a symbiote. 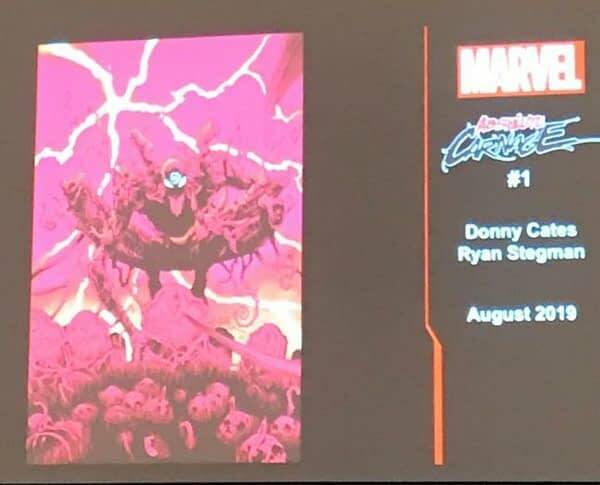 Donny makes a joke that Absolute Carnage #1 written by him and Ryan Stegman will outsell Jim Lee‘s Uncanny X-Men #1. 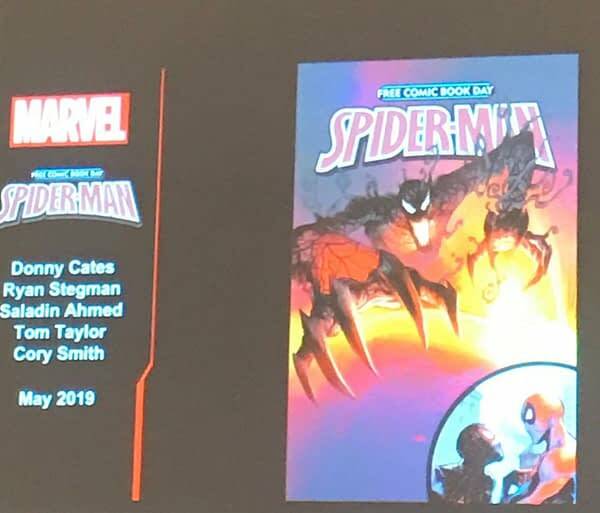 This will kick off in the Spider-Man Free Comic Book Day book – which will also contains a story with Peter and Miles Morales by Saladin Ahmed and Cory Smith. 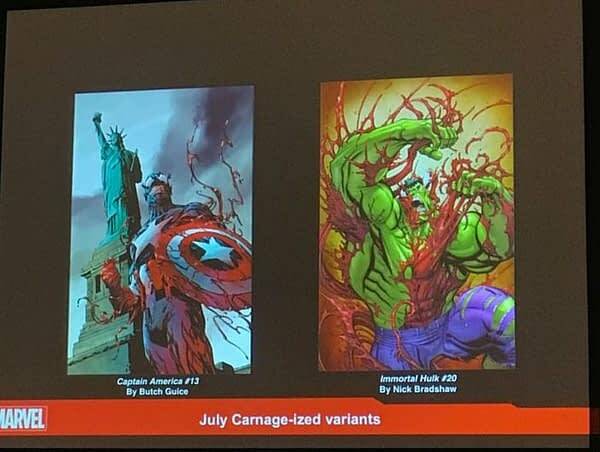 And expect Carnage variant covers starting in July across 25 titles.